ATLANTA (CNS) — Archbishop Wilton D. Gregory of Atlanta has released a list of the priests, deacons, seminarians and religious credibly accused of sexual abuse of a minor from 1956, when the diocese was established, until now. Atlanta became an archdiocese in 1962. In a statement published on the archdiocese’s website, the archbishop said Nov. 6 that he was publicly releasing these names “in a spirit of transparency and the hope of continued healing for the survivors of abuse. 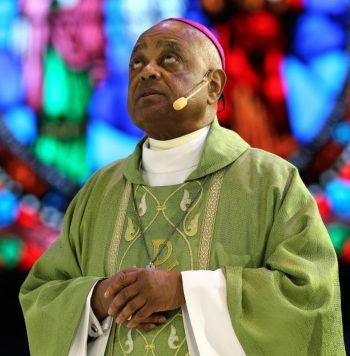 Atlanta Archbishop Wilton D. Gregory concelebrates Mass during the 2017 Catholic convocation in Orlando, Fla.